Use the Open Science Data Cloud to train the next generation of scientists (graduate students and early career researchers) in data science and to sponsor their travel so that they can collaborate on data science research projects with OSDC partners in the United Kingdom, Namibia, the Netherlands, Japan, China, Brazil, and other countries. Perform research to improve scientific clouds, including their software stack, the software service they run, and the algorithms that support these services and to use the resulting knowledge to improve the OSDC. 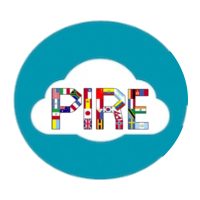 Meet the 2016 selected PIRE fellows! PIRE Fellows Race Clark and Zac Flamig (meteorology PhD candidates at the University of Oklahoma) traveled to Windhoek, Namibia in the spring of 2015 to work with government officials and other local stakeholders to improve forecasting and monitoring of flood and drought impacts within the country. Namibia is a stable and prosperous middle-income country in an arid and semi-arid region with highly variable rainfall. Many citizens are heavily dependent on agriculture, which increases the need for accurate flood and drought monitoring. For all these reasons, Namibia has been an ideal place to build local capacity to effectively use hydrological models, remote sensing platforms, and cloud computing.